A UCLA research studio is confronting the challenges of America's favorite fanciful flying tube. 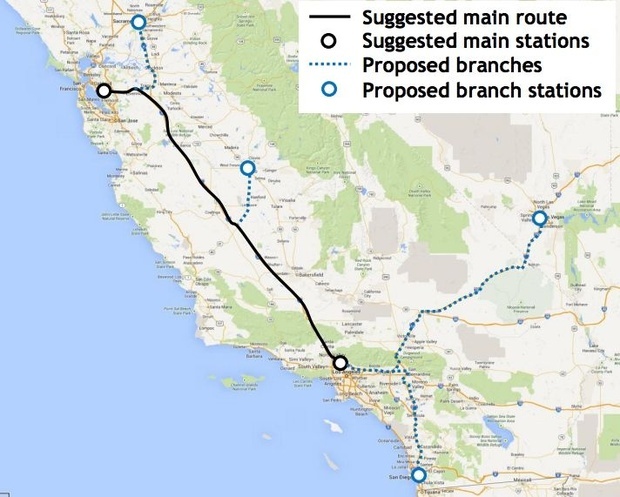 Surely you haven't forgotten the Hyperloop: Elon Musk's pie-, er, pod-in-the-sky plan to connect Los Angeles and San Francisco with pneumatic transport tubes. Traveling at 760 mph, passengers could theoretically make the trip between Northern and Southern California in a little more than half an hour. All this, supposedly, for a fraction of the cost of building high-speed rail between the cities. "It's pure science fiction," Hodgetts said gleefully. "Ray Bradbury would be the perfect person to explain this." "There's not a single element of science fiction," Hodgetts says. "Hyperloop is the same thing as the pneumatic tube." In response to an email from CityLab about the statements, Hodgetts explains that his description of the project as "insane" was meant in jest, and that his reference to Bradbury was a literary one, not an engineering critique. He says that some of the original engineering assumptions have needed revision, such as the tube diameter, suspension methods, and station designs. But he adds that such refinement isn't surprising considering the complexities of the project. "To clarify, what I meant was that the yearnings of futurists and science-fiction aficionados would be fulfilled by the realization of the system," he says. "I certainly did not mean that the concept had anything resembling what I think of as 'fantasy fiction'—i.e., anti-gravity, teleportation, etc." Musk, the futurist head of Tesla and SpaceX, released a white paper detailing the Hyperloop concept in 2013, complete with design renderings, rough cost estimates, and a route map. But the idea has been criticized for its potential to disrupt or distract from far more realistic transportation projects. This August, CNET reported that Hyperloop promoters had encountered some "environmental and regulatory" hurdles and wondered if perhaps "even a technologist as accomplished as Musk looked too far into the future." Still, the concept's development pushes on. The UCLA program being led by Hodgetts, known as a Suprastudio, is a partnership between the university's Architecture and Urban Design School and Hyperloop Transportation Technologies. (The studio is housed, rather inauspiciously, in the same complex where Howard Hughes built his failed aircraft known as the Spruce Goose.) The Breeze reports that most of the 25 students in the class are Chinese, owing to their country's fascination with Musk in general and the Hyperloop in particular. Among the toughest design challenges facing Hodgetts and company is how to integrate Hyperloop stations into a city environment. Ideally, Hyperloop stations would exist in or near the urban core and be easily accessible, minimizing the considerable ground transportation time that often makes air travel less attractive than intercity rail. Hodgetts reportedly envisions a system similar to a ski lift, capable of moving fast for most of the trip but slowing down during entry and exit. The forces exerted on the body are so great that seat design and panel displays are almost as important as the physics behind the locomotion. 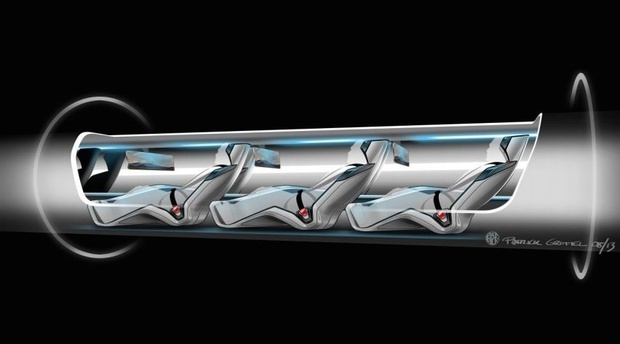 If you build it, the passengers will come — but only if the Hyperloop doesn't make people want to throw up. For the record, the class has set for itself some perfectly sane goals: to build a full-scale prototype of the transport capsule as well as a miniature pneumatic tube. How crazy things get from there is anyone's guess.